Christmas has come to an end and it is a good time to pick up a few bargains, from golf balls to golf clubs we have lots on sale. Rail one - All items half price! Next items on sale are Wilson Harmonized wedges, there are various loft options available. We have a tour bag full of various clubs from fairway woods, rescue clubs and wedges. We also have on sale Titleist SM4 Vokey wedges in various lofts and bounces. We have sorted through our demo room to make room for next seasons clubs, which means this seasons demo clubs now go on sale with massive reductions. We also have on sale a range of Yonex VXF Hybrids, both mens and ladies available in various lofts and shaft flexes. Next item on sale with only one in stock, so dont leave it too long to purchase your bargain is a set of Mizuno JPX EZ irons 5-SW steel shaft. Our last but best deal we have on in store is ALL Taylormade woods in the golf bags seen below are now 25% OFF! Whats in the bag - Mens SLDR and SLDR S drivers, SLDR fairway woods, Jetspeed drivers, fairway woods and ladies Hybrids. We hope you have all had a great christmas and we wish you a happy new year! On Monday 22nd December we are hosting our annual Christmas Junior Golf Festival. The day will include coaching sessions of the key areas of the golf, they will then be tested on what they have learnt through unique fun skills challenges set up by the coaches. This will see them working as a team, on their own and with partners, this in turn helps build sportsmanship, honesty and respect for fellow golfers. The day will run from 10am till 3pm, which will include drinks and a festive lunch. Cost of the day is only £35. It is a fun packed enjoyable day for all participants. Too book your child a place on our golf festival call us on 01983613131 or come instore and book a place, however, spaces are limited so act fast before they are all gone. There are various types and brands of golf balls, which makes choosing the right golf ball key. This is where we come in, using our advanced knowledge on the various brands we have in store we can be sure to find the right product that suits your needs. 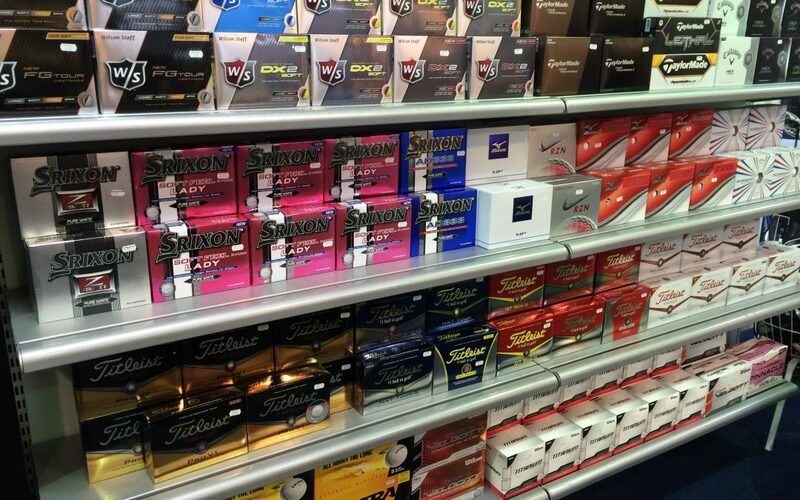 We have 28 different models of golf balls in store, ranging from our lowest priced at £12 for 15 up to £40 for 12. We also have various offers on at the moment on golf balls which could meanyou get more for your money! You are spoilt for choice when it comes to this idea as in store we have a large amount of brands, colours, styles and sizes. We have thick lined sweaters, down to lightweight windtops. Our lowest priced top is £40, ranging up to our premium top at £85. We have over 30 different models of golf shoes, including mens, womens and childens. We have all the major leading brands such as Footjoy, Adidas and Nike in store and in various sizes, however, if we dont have the size you need we can be sure to get it for you. We have shoes in store ranging from £45 up to our premium shoe at £110. The rescue club can be a very useful club to have in the bag, making it a fantastic present for any golfer. The rescue club is a great alternative for the longer such iron such as a 3 or 4, it’s also very beneficial from difficult lies, the tee and from rough as it gets the ball airbourne faster. We have an abundant of brands, lofts and shaft flexes to suit any golfer making it an easy present to purchase. Using a GPS device can be like the “15th” club in the bag, it is a very useful aid for any level of golfer. Depending on the level of golfer, depends on which GPS device suits your needs. They start with the basic of devices which tell you yardages to the front, middle and back of each green. A middle of the road device tells you the same as a basic device but it also gives you the option to measure how far you hit shots, tells you statistics of each hole and you get to keep your score on the device as you go round. The most advanced device has all the bells and whistles it can do everything that the others can however, it also has a layout of each hole (Hole View) and tells you distances to any obstale which may be on the hole such as bunkers, water or ditches. Our basic devices start from £99 and they range up to our premium devices at £329. 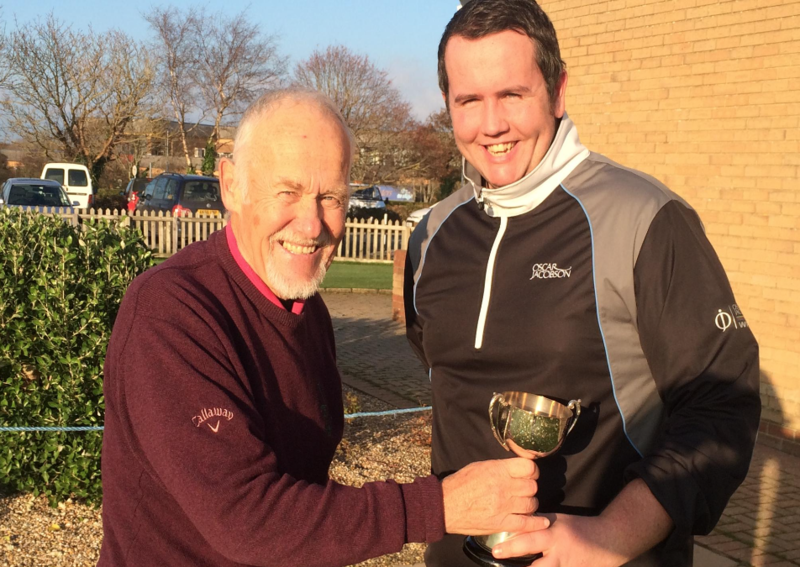 The league cup decided after ten events,well done to Ian Pethick for taking the prestigious trophy Click this link to view 2014 league cup final table. November Vase with over 40 players playing the last monthly major of the year. 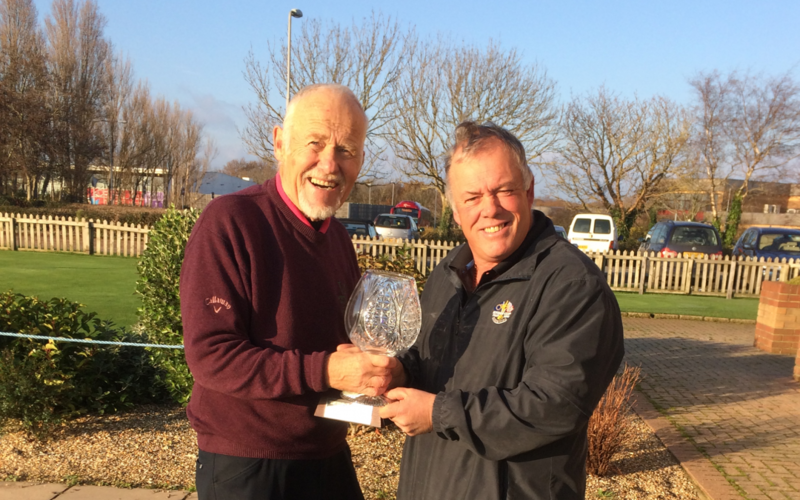 Congratulations to Westridge vice captain Keith Seymour for winning by one point with 40pts, over Mark Royl in second with 39 points and Martin Debenham in third place on count back. Fill the gaps in your bag! With 14 clubs allowed in the bag it should be simple to fill most of the common distances you find yourself at when playing your course. However the above are complaints I hear regularly from customers who either do not have the correct combination of clubs in there bag, or sometimes have two or three clubs in the bag that actually go the same distance! At Westridge we offer a find your distances service to show you the average yardage you achieve with every club in your bag and work out any clubs you may need or ones you do not need in your set. If this is something you have heard yourself say about your club set then please pay us a visit instore where we can get you booked up on our Trackman to show you your exact club distances and help you fill any gaps in your golf bag you may have.